Introducing… the episode of Your Biz, Your Rules where I truly embarrass myself. As well as hysteria, you’ll be getting some truly excellent tips for leveraging Instagram (and your other content, to be fair) to boost your brand.  Being visible can be super uncomfortable to start with, but when you start feeling a little more confident you can start having fun and getting creative. Instagram Stories, in particular, are such an excellent means of self-expression and connection with your audience.  Another benefit of Stories is that your people will never feel flooded by your content. If they’re offline for a few days… no biggie. They can just catch up on the past 24 hrs without the overwhelm that comes with extreme catch up mode.  It can be a huge challenge to post lots of pictures of yourself. It’s so easy to listen to that voice in your head saying “you’re so vain”, but the reality is that you want to share your message. 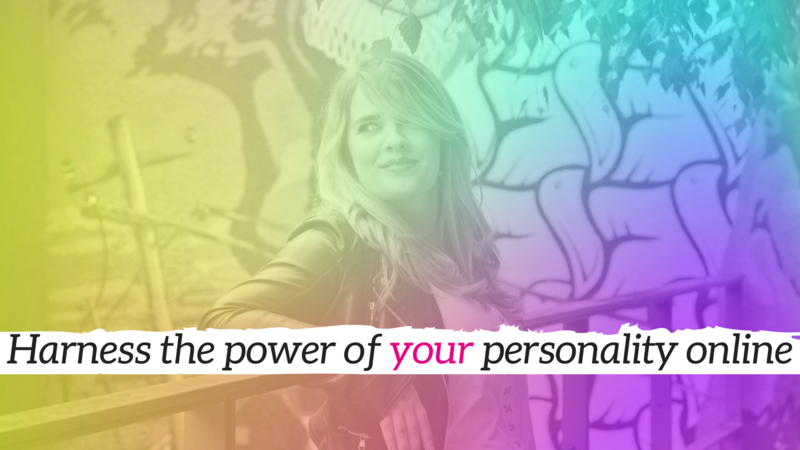 You want people to know who you are – if you didn’t you would bother creating content at all.  Is it more important that you feel comfortable and hidden, away from judgement, or is it more important that you get out there, connecting with and serving your people? That is the question. Alex Beadon helps people find confidence in their online voice so that they can build a tribe of people who know, like and trust them.